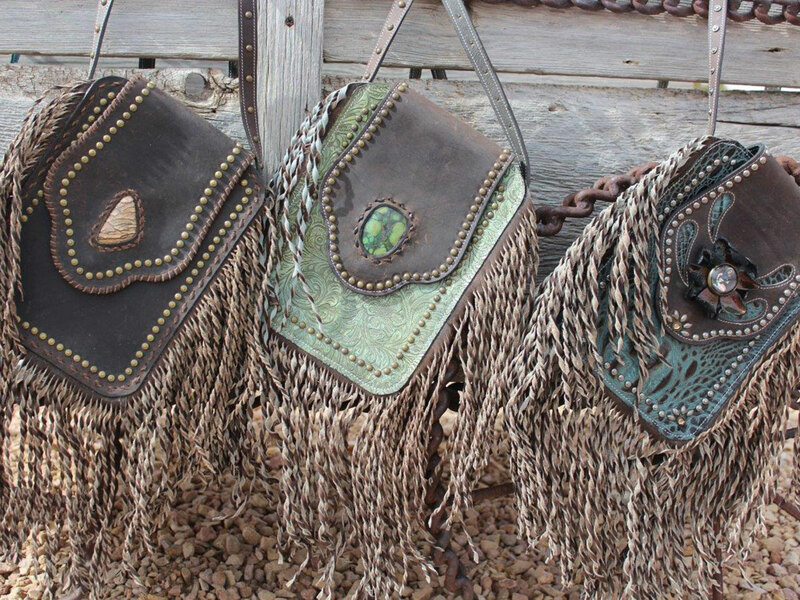 We are Sandy and Freeman Crawford and we have been designing and creating handmade leather goods for nearly 50 years. What began as Sandy’s 4-H project has grown and evolved into our passion and business. 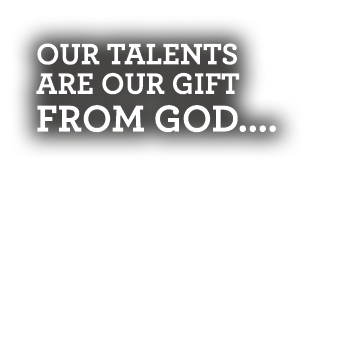 We have been blessed to send our work to nearly all 50 states and several foreign countries. Sandy spent many of her early years in the purebred Hereford cattle business with deep family roots in ranching. 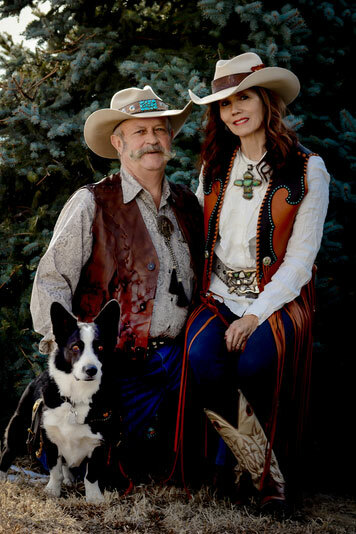 Whether a special award, gift or cutting-edge western fashion, you will find some sort of roots or story connected to western ranch life. 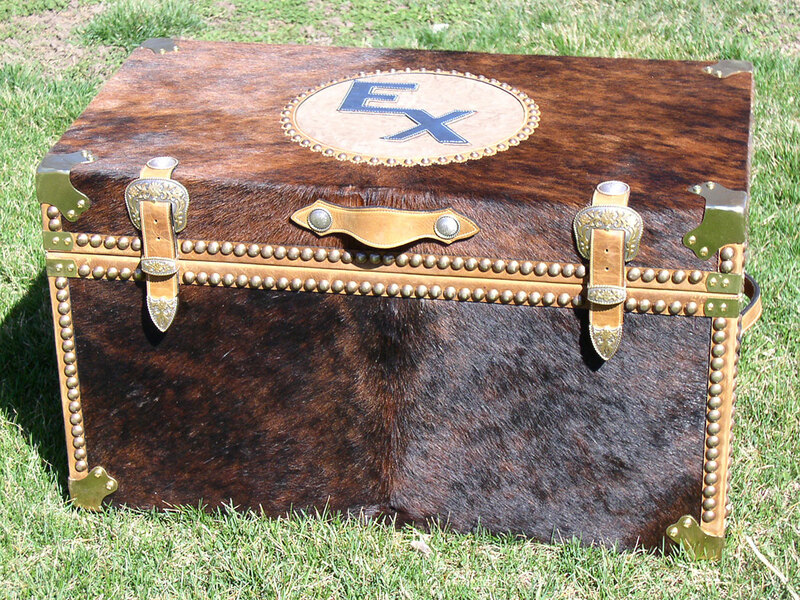 Our work is always evolving and varies from traditional tooling to cowhide to the latest colorful embossed leathers. We have a real love for repurposing old tack, old wood and anything else used on a ranch. Sandy has an obsession for turquoise and other gemstones and Freeman is happiest with either his welding helmet or covered with sawdust. Look for some new pieces on the horizon featuring a combination of all the above. If you are looking for something custom, we are excited to work with you. Please visit the Custom section of this site for ideas and guidelines to create something just for you. In addition, we are continually creating new, ready to purchase products available through our online store. We welcome your call or email any time. The best part of our business is the people we have met and will meet and the friendships we have made along the way. Thanks for visiting our site. Have a great day. God made it just for you! In 2011 Ronald Reagan would have celebrated his 100th birthday. 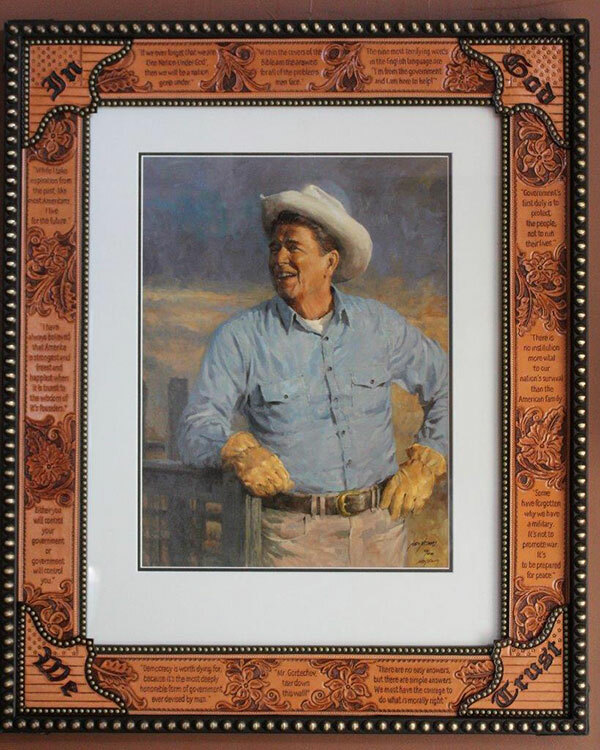 When artist, Andy Thomas released this wonderful painting, I was inspired to tool this frame in Mr. Reagan’s honor. 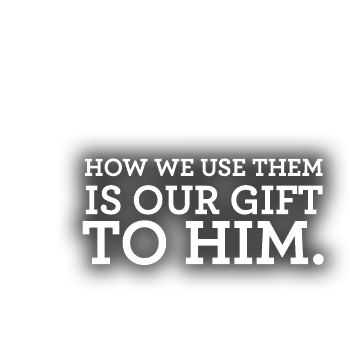 I wanted to pay tribute to the values and beliefs that made him my hero…. God, family, small government and an unyielding pride in America. 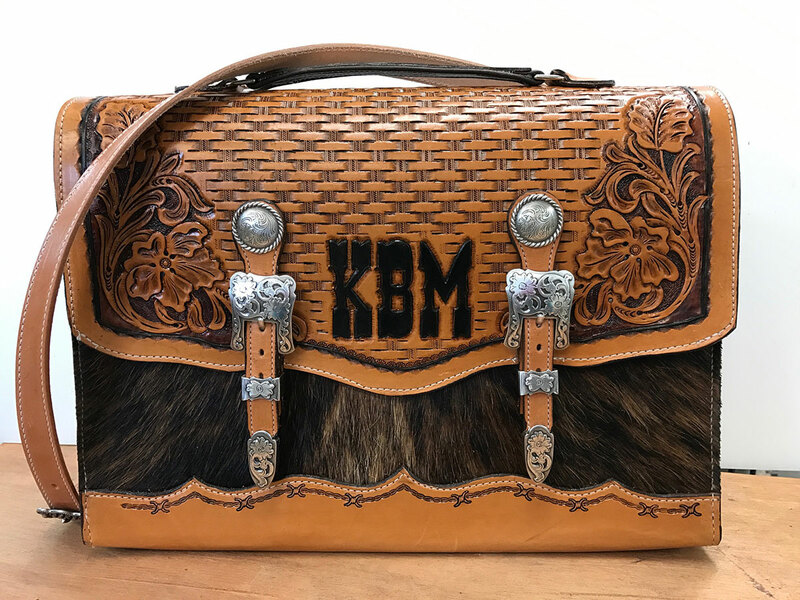 Order this special piece in the Western art section on the custom designs page. In addition to our custom designs, we are continually creating new, ready-to-purchase products available through out online store! We welcome your call or email any time. The best part about our business is the people we have met and the friendships that have formed along the way.